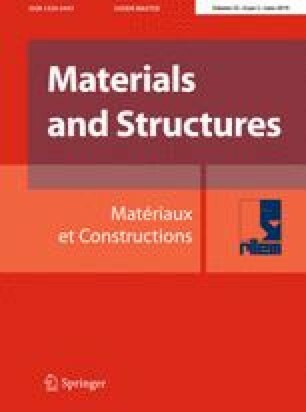 Research has shown that the post-peak tensile strength behaviour of Steel Fibre-Reinforced Concrete (SFRC) elements is significantly affected by the distribution of fibres in the section. The pursuit towards the effective and optimal application of SFRC in practice necessitates a thorough understanding of the influence of fibre spatial distribution on composite performance. In this research, the influence of fibre length and volume content on the spatial distribution of fibres was investigated using a photometric image analysis technique. A unique approach was developed that utilises Voronoi diagrams as the geometric descriptor quantifying fibre spatial distribution. The resulting parameters characterised the sectional dispersion of fibres as well as the degree of clustering and were related to the flexural performance of notched beams tested under three-point loading. The findings of the study highlight the role of fibre length and volume content on the spatial distribution of fibres and it is revealed that the sectional uniformity, inter-batch spatial variability, and degree of clustering are dependent on the number of fibres in the cross section. Furthermore, the results demonstrated the considerable influence of fibre distribution on the flexural performance of SFRC. It was concluded that the variability in flexural strength reduced as the variation in fibre spatial distribution reduced and that extensive clustering had an adverse effect on the effective resistance provided by fibres. The online version of this article ( https://doi.org/10.1617/s11527-019-1351-z) contains supplementary material, which is available to authorized users.